After four matinee March Madness games Thursday, the East Region of the NCAA Tournament is on the night shift with all four outings in the evening. 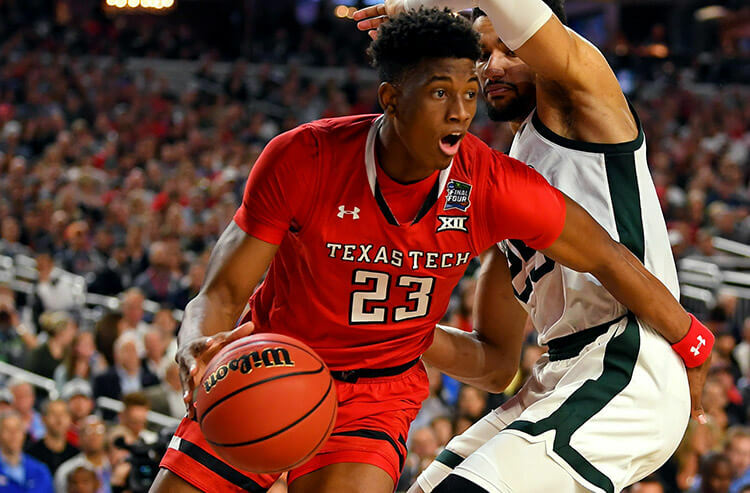 Jason Logan is taming the “beast of the East” this March, breaking down the odds and action, and giving his best March Madness bets for Friday. It’s the moment you’ve all been waiting for: Duke’s Big Dance debut. The Blue Devils are lugging a load of points into this Round of 64 matchup with North Dakota State, and I expect this spread to grow once the public pounds Zion, R.J., and the rest of Coach K’s crew. 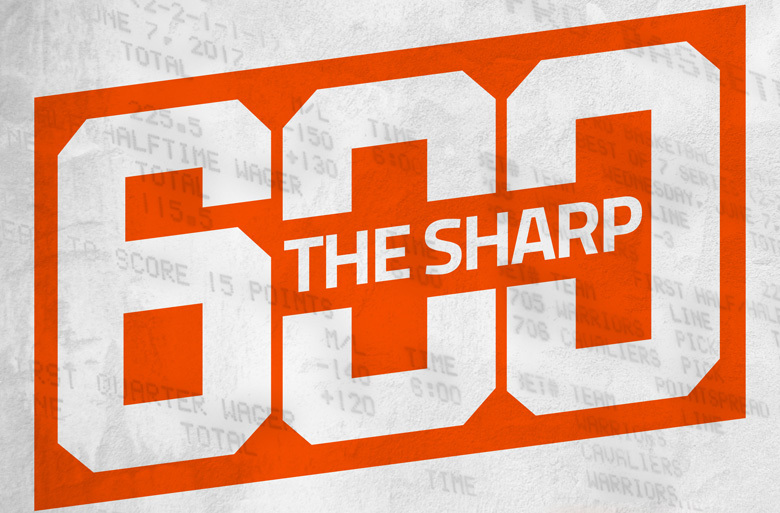 Sharps may come sniffing around for value on the dog in a hours before tipoff. Duke has gone full-on Cobra Kai (NO MERCY!) in the opening round since that infamous loss to Mercer back in 2014. 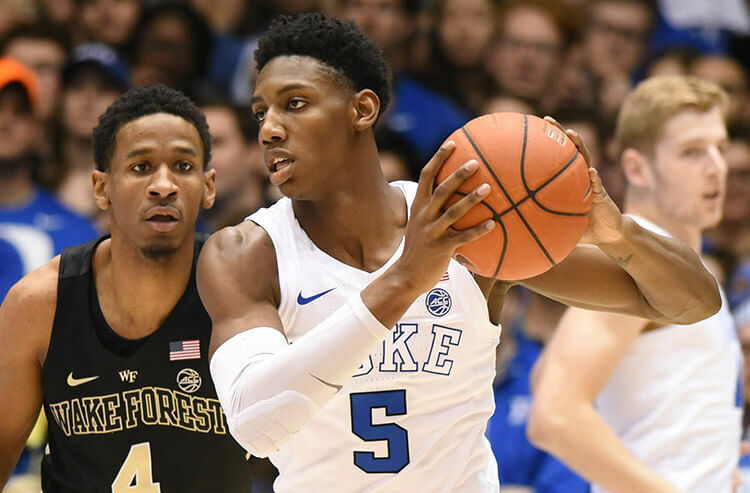 The Blue Devils are a perfect 4-0 ATS in their last four tournament openers, covering lofty chalk as -20.5, -19.5, and -22.5 favorites in that span (covered -6 vs. Yale in 2016). The Blue Devils have been favorites of 20 or more points 10 times this season, going 6-4 ATS versus those sky-high spreads. However, they’ve been far from dominant in the first half of those games. Duke held an average first-half lead of 12.8 points in those 10 contests then erupted in the final 20 minutes, posting an average second-half margin of 18.6 points. The Blue Devils will slowly dip their toe into the NCAA Tournament pool, which is why I’m going NDSU +15.5 in the first half Friday. Liberty has drawn many comparisons to last year’s tournament Cinderella, Loyola-Chicago, and one of them is the Flames’ pace of play. They rank among the bottom of the country in terms of tempo, averaging just 66.5 possessions per game (12th fewest). Mississippi State, on the other hand, sits in the middle of the road in terms of tempo, averaging a respectable 77.3 points per game – 65th in the country. The Bulldogs have run into a few opponents that also employ a methodical pace, including three SEC rivals – Florida, Kentucky (twice) and Missouri – which sit with a tempo rating of 65.9 or lower. The Bulldogs went 1-3 Over/Under in those conference games. Mississippi State also came across some slower-paced teams during non-conference play, taking on the likes of St. Mary’s, Dayton, Cincinnati, and Wright State – all of which rank in the bottom 34 teams in terms of pace. The Bulldogs played Under the total in each of those four meeting. For those keeping score, MSU is 1-7 Over/Under versus those foes playing at a snail’s pace, averaging a mere 65.5 points in those eight games. I see them getting sucked into a grinder versus Liberty and staying Under their team total of 70 points Friday. Jeez, I wish these two teams didn’t have to play each other in the first round, as I think they could’ve upset the bracket cart. But, here we are. Virginia Commonwealth got a raw deal in the A-10 tournament, losing top scorer Marcus Evans early into their loss against Rhode Island. That blew up a 12-game winning streak by the Rams, in which they went 10-2 against the spread. Evans is expected back for this opening NCAA game, and the early action moved VCU from a 1-point fave to a 1-point dog. Central Florida poses the biggest challenge to VCU this season… no really. This is the biggest team the Rams have played. 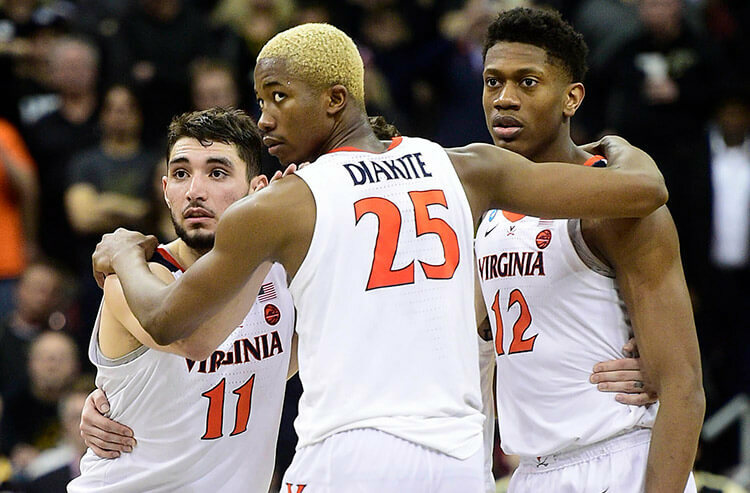 Virginia Commonwealth has played only three teams taller then its average height this season – Old Dominion, Temple, and Davidson – going 1-2 SU and ATS in those contests. They also played Texas, which was of equal in stature, and won and covered in that contest. The notable takeaway from those games was VCU’s offensive output versus tall opponents: averaging just 55 points per game in those meetings. That’s well below their season output of 71.4 points per game. Central Florida gives up just over 64 points on average on 39.5 percent shooting, with 7-foot-6 center Tacko Fall as the keystone. I’m going with VCU Under 62.5 team total in this one. Note the venue and start time for this final Friday game in the East Region. The Hokies will be playing in their latest start of the season (no start time later than 8 p.m. ET) after traveling almost 2,700 miles from East to West for this tournament opener Friday. And let’s not forget SLU either, making the plus-2,000-mile pilgrimage to play in San Jose. The Billikens snuck into the field of 64 with an upset win as a No. 6 seed in the A-10 tournament. Saint Louis, which ranks among the worst shooting teams in the country, played above its numbers in the conference tournament and locked down foes on defense. Saint Louis now runs into a Virginia Tech team that doesn’t give away much on the defensive end either. The Hokies rank 25th in defensive efficiency and allow just over 62 points per contest. With two defense-first teams traveling across the country and playing outside of their comfort (time) zone, I don’t see a lot of points on the board for this Friday finale. I’ve got the Under 126.